"One World, Own Home, One God"
An original, local Christmas card designed and inked by Dorothy Sturgis Harding. 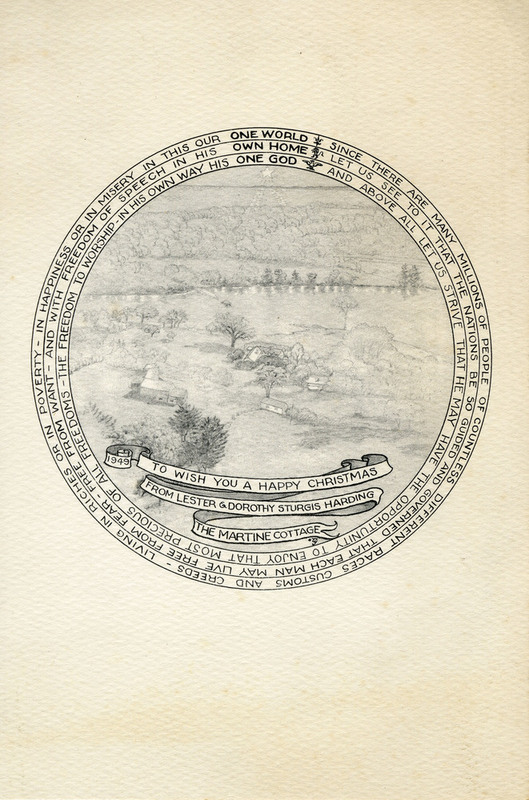 Features a quotation of goodwill and humanity inset in a circular frame with a light, landscape view of the Martine Cottage and surrounding foliage. Banner below with Christmas greeting and date. Flat card. 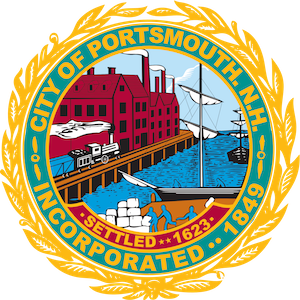 ~ Dorothy Sturgis Harding, “"One World, Own Home, One God",” Portsmouth Public Library's Online Archives, accessed April 23, 2019, http://portsmouthexhibits.org/items/show/2093.